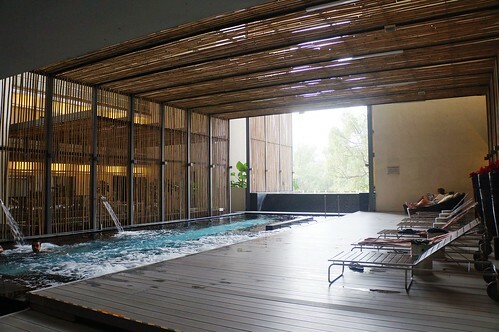 ‘Urban boutique’ Hotel Maya is a peaceful respite in Kuala Lumpur’s busy city centre, says Lauren Rayner. Stepping into my room on the 18th floor above Jalan Ampang, a busy street in Kuala Lumpur’s busy centre, it almost felt as if I was floating in mid-air. Vast floor-to-ceiling windows gave way to the city outside – commuters whooshed past in cars far below, elevators zipped up and down skyscrapers and the neck-stretching Petronas Twin Towers loomed above it all. After a long plane ride, arriving at Hotel Maya felt as if I had discovered a sanctuary, an oasis between the two long stretches of desert that were my 10 hour flights. 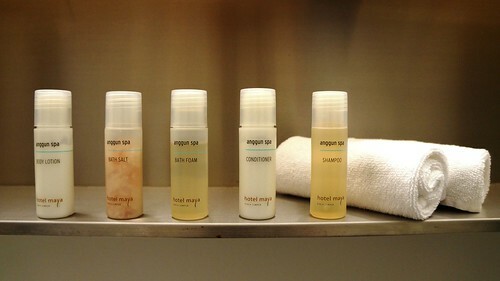 Flying from London to Australia is a gruelling, 24 hour-plus challenge that saps you of energy, sleep and skin moisture. Never before had the ability to extend my legs felt such a delicious, but impossible task. 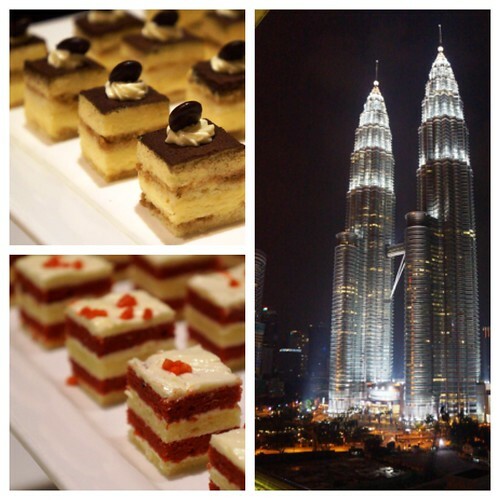 So I decided to break up my return journey with a brief stopover in Kuala Lumpur – where I could stretch my legs for a full 18 hours without so much as a tray table in my way. Hotel Maya bills itself as a ‘boutique urban resort’, and it was here that I would be spending my short, but appreciated, stay. 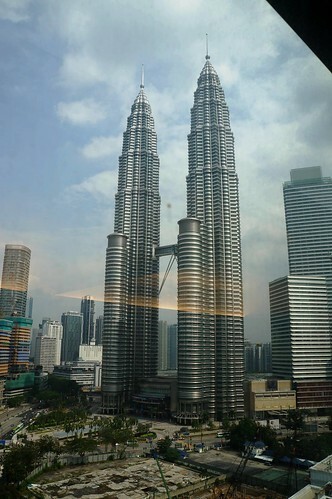 The 22 storey building houses 207 rooms, most of whose windows gave way to views of one of Malaysia’s most iconic landmarks – the Petronas Twin Towers or the Kuala Lumpur Tower. The rooms are designed to incorporate elements of light and nature to create a calm, contemporary atmosphere. I padded across the polished wooden floorboards to the bathroom – or bathrooms, should I say. An enormous shower room with Balinese-like wooden slats adjoined a tempting bathtub; the vanity area was topped with natural soaps and shampoos. I had one sink to wash my hands in, and one to brush my teeth in (I promptly designated each), and a giant walk-in wardrobe which would have comfortably housed my entire wardrobe, should I have felt the urge to bring it on holiday. A quick inspection of the hotel acquainted me with the indoor hydrotherapy swimming pool, Anggun Spa and no fewer than three restaurants. I scanned the menus of Maya Brasserie (serving authentic Malay cuisine) Still Waters (a fusion of Japanese, Thai and Cantonese), and Ramah Tamah (wholesome deli snacks). My choice for the evening was made: Maya Brasserie it would be. Keen to remind myself that my legs were still capable of walking distances, I decided to treat myself to a healthy dose of exercise: laps of the enormous shopping mall at KLCC. Here, at the base of the Petronas Towers, gleamed 400 shiny shop fronts of many a high street favourite, alongside chic designer boutiques and Asian brands (yes, ladies, there is a Charles & Keith). Just an eight minute walk from Hotel Maya (or a five minute walk, if you really, really like shoes), KLCC is the best place to get the circulation going again. If you’re staying for longer than I was, Hotel Maya is in a great spot for exploring the city. KLCC is on the Kelana Jaya (red) Transit Rail line, a few stops from KL Sentral, and consequently, wherever you need to go. 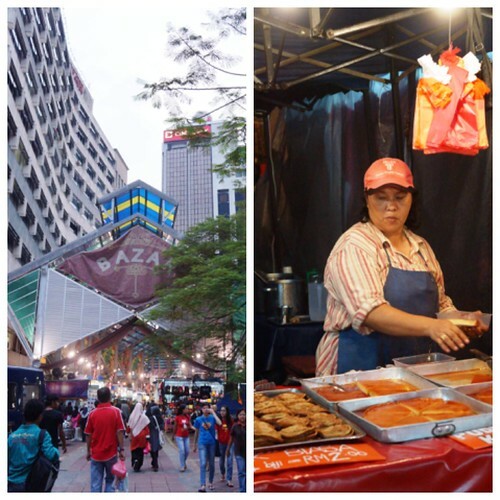 I caught the metro a few stops to Masjid Jamek and arrived at the night market just as the sun was beginning to set. Weaving through stalls brimming with watches, purses, saris and beads, I watched market sellers serving up Indian snacks – chapatti, vadai and stringhoppers, as well as brightly-coloured tropical fruits. My mouth began to water – time to get back to Maya Brasserie. I chose a table by the tranquil water feature and ordered the signature soup – a huge bowl of Maya’s Silver Pomfret Mee Hoon Soup that came out steaming. Delicious though it was, I couldn’t help but be envious of my neighbours as they returned repeatedly to their tables, plates piled high each time with Malay delights – Maya Brasserie has a buffet too. 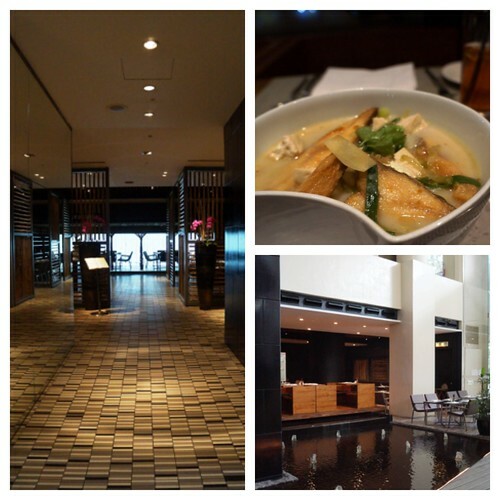 After dinner I decided to relax in the Sky Lounge. This 13th floor terrace probably boasts one of the best views in the city: uninterrupted views of Kuala Lumpur’s Twin Towers, lit up now with dazzling lights. 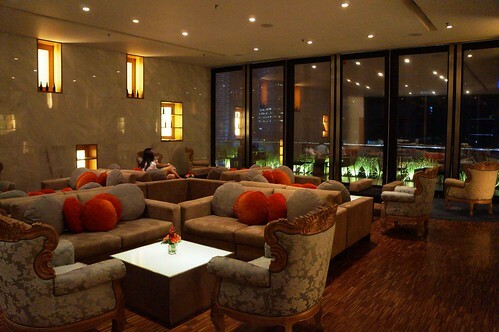 Between 9 and 11pm, a night cap is served in the Sky Lounge – free tea, coffee and petit fours exclusively for guests. It wasn’t long before my eyes began to droop. Reluctantly, I retreated to the elevator – it had been a long day and I had an early flight in the morning. And the view from my room wasn’t too bad either. 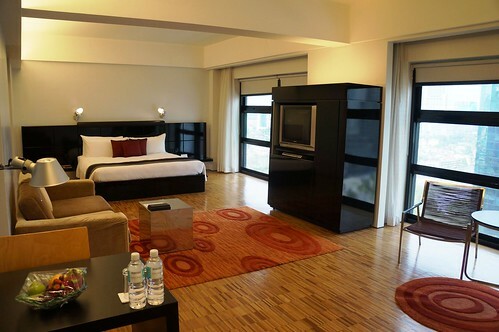 Hotel Maya is located on Jalan Ampang, in Kuala Lumpur’s business district. Studio rooms start from £70. To book your stay at Hotel Maya, speak to your friendly travel consultant or visit our website. Planning a trip to the antipodes? Air Malaysia flies London – Australia via Kuala Lumpur. Of you’re looking for stopover ideas to break up a long flight, check out these suggestions. Lauren Rayner is Social Media Specialist at Flight Centre UK. Follow her on Twitter here.